2. Press MAP. The map screen appears. 4. 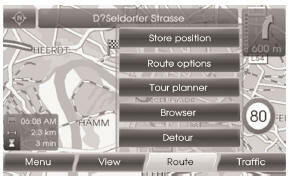 Touch [View], [Route] or [Traffic] to select the desired option. 5. Touch the preferred setting method.